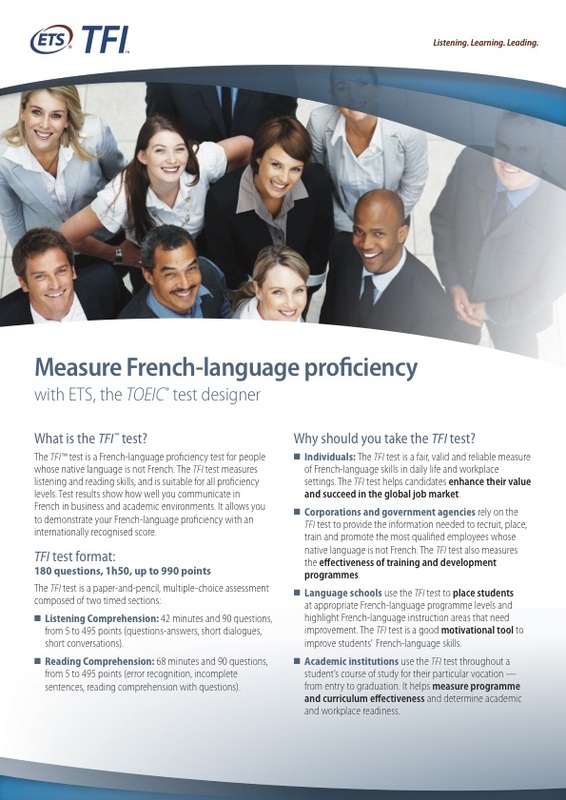 The TFI test (Test de Français International) is a French language proficiency test for non-native speakers of French. It certifies the French skills (both academic and business) of test takers, from beginner to advanced levels. Spoken by over 170 million people daily, French is widely used in international business and communication. A student wanting to study in a Francophone nation, or a professional looking to work in an international environment with multiple languages, can use TFI scores to prove their competence in the language, since the TFI test is recognized as reliable and valid worldwide. Who uses the TFI test? The TFI test lasts around 110 minutes, and comprises 180 questions divided into listening and reading section. Points for each section range from 5 to 495 points; the total score, hence, ranges from between 10 to 990 points.